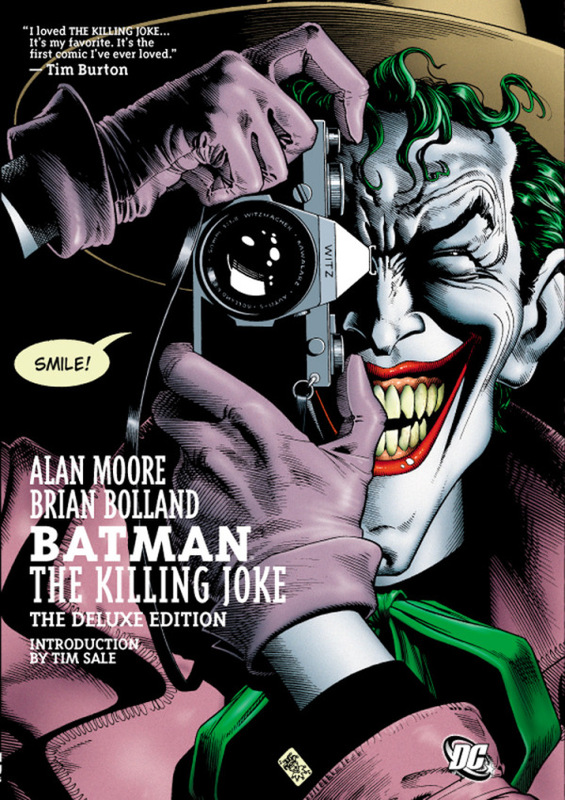 Taking a quick break from books that are university-related, I decided to finally start on my edition of Batman: The Killing Joke. To comic fans, this is probably one of the most famous story-lines to happen in the Batman continuity, with several far-reaching consequences. As you can probably guess, I had high expectations of it. Which is why I'm somewhat confused. Following yet another escape from Arkham Asylum (what must their security be like if this is a regular occurrence with almost EVERY Batman villain incarcerated there?) the Joker decides to prove to the world that anyone can become like him if they have just one really bad day. To do this, he kidnaps Commissioner Gordon and subjects him to mental torture. Thus, Batman must confront the Joker before Gordon and his daughter Barbara are harmed any further. I expected this to be longer. After hearing so much praise about The Killing Joke, alongside my previous experience of Alan Moore's work (specifically V for Vendetta and Watchmen), I guess I was expecting a heftier story than the 46 pages that I got. Don't get me wrong, I knew it wouldn't be the epics that the previous Alan Moore stuff I read would be, the volume was too slim. I guess what I'm trying to say is that I don't think it had the same kind of weight to it that I was expecting from all the praise. It's a good story, don't get me wrong, it just seems like it could have been fleshed out a bit more; as it is, it doesn't seem like the Joker really has time to carry out his plan. What he does is dreadful, and I would never wish that on any parent, but it seems odd that he would stop short, as it were. Much as I like Commissioner Gordon and his family, part of me feels that the Joker would continue to torment him and create more misery for Gordon, until he was certain that he'd snapped completely and irreversibly. 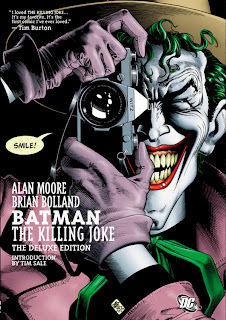 The other thing that bugged me about this story is the fact that Alan Moore tries to give the Joker a back-story. Much as I am a fan of character back-story as a means of giving said character depth and personality, the Joker is an exception to this; his past is a complete blank and that lack of knowledge just makes him scarier. Giving him a sympathetic back-story just makes him seem less chilling somehow, and I personally don't think that his version of the one bad day really measures up to his psychosis; as the Joker himself says, "If I'm going to have a past, I prefer it to be multiple choice!". Maybe if there were several versions of his past that the comic created as possibilities, that I could understand, as it would create more mystery as well as introducing a potential sympathetic element to his character. As is, I like the story in theory, I just can't help but read it and wish that it had been written with more scope in mind. In terms of an introduction into comics, it is a pretty good place to start, as there isn't a whole lot in here that isn't well-known to pop culture at large. Despite my misgivings about the execution of the story, there is one reason why I would still wholeheartedly recommend this to new comic readers, other than the ease with which you can understand it: the artwork. The artwork in this is utterly stunning. The Joker in particular is very well drawn, with just the right amount of grotesqueness to his facial features to make him look just fundamentally wrong. The colouring is very good as well, particularly the parts exploring the Joker's past; much like Schindler's List, it's black and white with a splash of colour, a shade of red that just keeps getting brighter as the flashbacks go on. It's an interesting look to be sure.